Thank you to our donors, sponsors, and friends for an amazing 14th Heroes Gala! Friends are not a luxury. They’re a necessity. 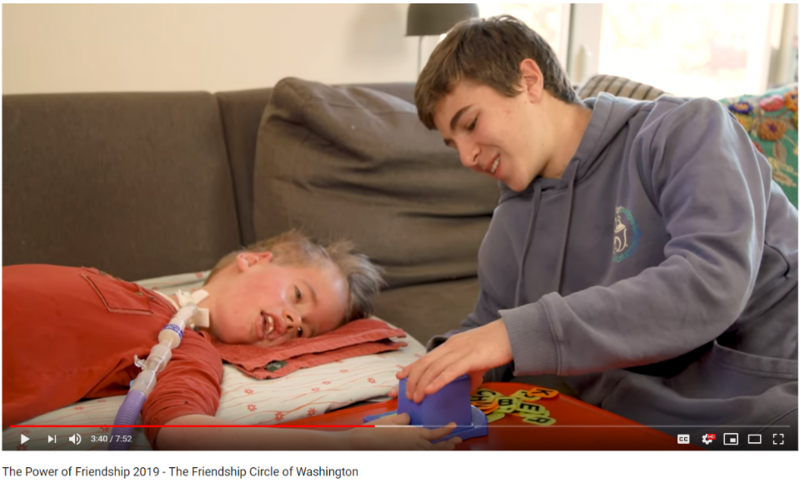 Here at the Friendship Circle we bring together children with special needs and teen volunteers to forge a bond that lasts a lifetime. Watch our Gala Video, "The Power of Friendship"
Mitzvah Volunteer Program: begins November 7th 2018. Hands on learning. Inspiration. Tikun Olam. Sensitivity. Lots of Fun! Every other Sunday, trained specialists and a team of teen volunteers lead children through art, music, movement therapy, Kung Fu, games, and other activities. Teen Scene bridges the gap between typical teens and teens with special needs by enabling them to enjoy fun and meaningful experiences together.